First Listen: Girl In A Coma, 'Exits And All The Rest' The hard-rocking trio sounds better than ever on its fourth album, which wraps the songs of singer Nina Diaz in just the right arrangements. I wish Girl in a Coma had released an album when I was growing up in the 1970s. The band cranks its amps in the style of the classic-rock power trios I listened to back then, though it swaps out the testosterone with a sense of graceful defiance. 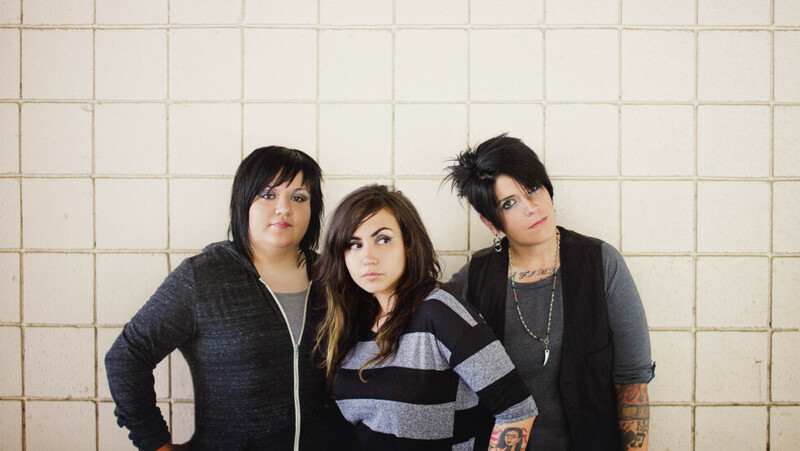 Exits and All the Rest is Girl in a Coma's fourth album, and confidence pervades the musicianship of bassist Jen Alva, drummer Phanie Diaz and her little sister, guitarist Nina Diaz. Nina Diaz told me she's been writing music since she was 13, and in the years since, it's had time to mature and grow. Exits and All the Rest provides a perfect showcase for her writing. "Smart" and "Sly" both have melodies that linger long after the notes have faded. Diaz's stories of heartbreak and the promise of love and hope are made all the more believable by her band's solid playing. Four years after its first album, Girl in a Coma sounds sharper than ever, wrapping Diaz's songs in just the right arrangements. And then there's Diaz's voice, which sounds like it could belong to someone significantly older; it can be playful, anguished or just plain ballsy. A spirit of rock 'n' roll abandon fuels the riffs in "Adjust" and "Knocking at Your Door." Though I'm still into last year's Adventures in Coverland, Exits and All the Rest sounds like Girl in a Coma's best album yet. It's exciting to catch a band like this early in its career and hear it improve with every album and tour.